Today, we released a report, “Building Blocks to Help Youth Achieve Financial Capability,” which describes how young people acquire the “building blocks” of financial capability to help them navigate the financial marketplace as adults. The building blocks are: 1) executive function, 2) financial habits and norms, and 3) financial knowledge and decision-making skills. These building blocks include critical attributes and abilities, which begin to develop in early childhood and continue throughout the teenage years and adolescence. Educators, policymakers, parents, and caregivers all have important roles to play. The report lays out four key strategies for implementing these developmental building blocks. The table below describes the building blocks for financial capability, what they support in adulthood, and examples of how they apply to financial decisions that many adults face. The three building blocks typically emerge over three developmental stages: early childhood (ages 3-5), middle childhood (ages 6-12), and the teen years and young adulthood (ages 13-21). During early childhood, executive function is the most important building block for a child to develop because it supports future orientation, perseverance, and planning abilities. Children rely on these abilities when setting financial goals and developing and executing budgets when they’re older. During middle childhood, children begin to develop financial habits and norms, which they typically acquire through observation of their parents and peers. At this stage, children begin to gain a sense of what is normal or appropriate regarding spending, saving, and other financial matters. Financial habits and norms shape the decision shortcuts that they will go on to use with routine financial choices. During adolescence, teens begin to have more direct experiences with the financial world (for example, working at a first job or buying a car) and therefore improve their financial knowledge and decision-making skills. During this developmental stage, financial education experiences or programs should help teens improve their financial knowledge as well as research and analysis skills. People use executive function skills to set goals, plan, save for the future, and stick to a budget. Developing executive function (the first building block) is especially important during the early years because it lays a critical foundation for further growth of mental abilities, skills, and attitudes. Everyone, including parents and educators, can help create environments that nurture the development of a child’s executive function. As an example, a study shows preschool children who viewed a video of Cookie Monster resisting his favorite treat were able to wait four minutes longer for a snack than children who did not. Financial socialization is an ongoing process by which children and youth develop the attitudes, habits, and norms that guide financial behavior. Children absorb these habits and norms (the second building block) by watching their peers and adults. Parents and caregivers play a central role in supporting their child’s financial socialization, because they can demonstrate healthy financial values and behaviors and talk about everyday financial decisions. We encourage financial education programs and initiatives to help parents and caregivers take a more active role in their children’s financial socialization. Helping them develop mental “guideposts” so they can recognize situations in which they should seek out additional information (for example, case studies can encourage teenagers to check their budget and comparison shop before purchasing an expensive item). We hope our recommendations can be used by financial education program developers, schools, and policy and community leaders, and that a set of common strategies can be developed so that no one practitioner needs to tackle them all. By working together, we can help young people gain the financial capability building blocks as they grow. 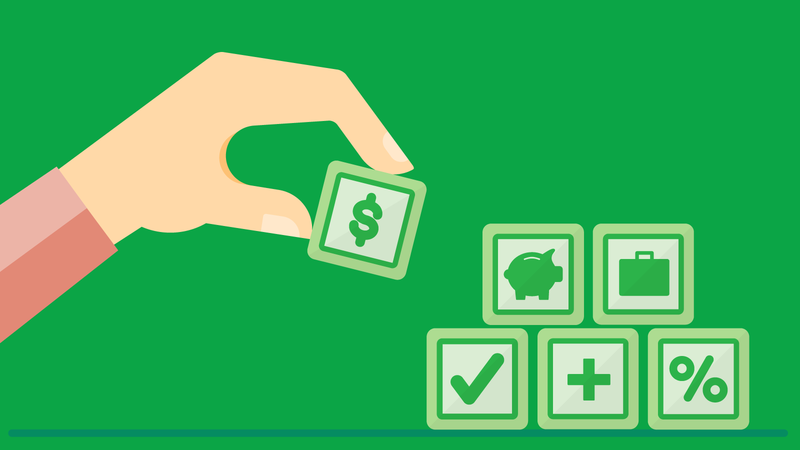 Educators, be sure to see our newly released Personal Finance Pedagogy . This was created using our findings on the building blocks. The pedagogy and teaching tool are guides to using the building blocks in the classroom. Parents and caregivers, be sure to visit our Money As You Grow resources, which contains ideas and activities that incorporate the building blocks so that parents can help build their children’s money foundation.